After making my menu planner I had to make an accompanying grocery shopping list. What can I say, I like for things to be all cute and coordinated! 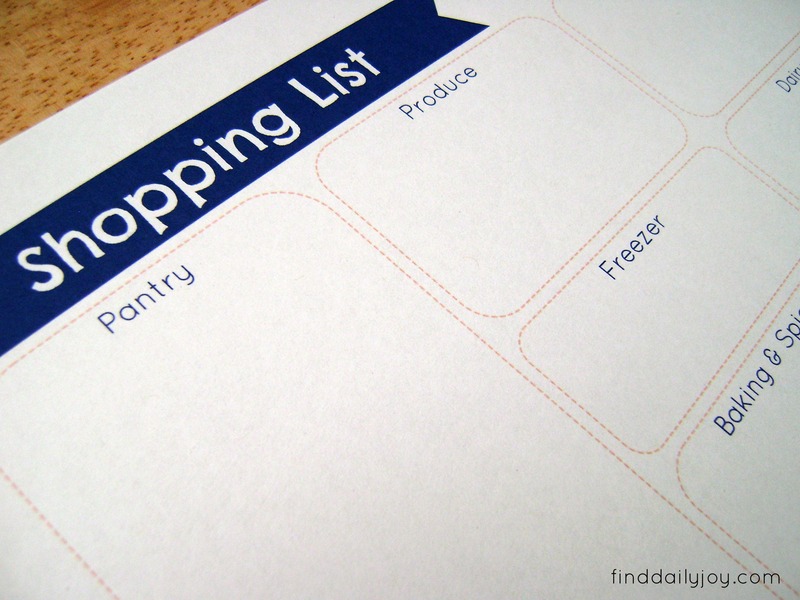 I used to keep a note pad on the refrigerator and throughout the week I would jot down items that we needed. Then as I was working on my menu I would add to my list. When I was feeling really organized I would rewrite the list out in the order you would find the items in the isles of the stores. However I didn’t always take the time to do that extra step and inevitably I would end up backtracking all over the store. 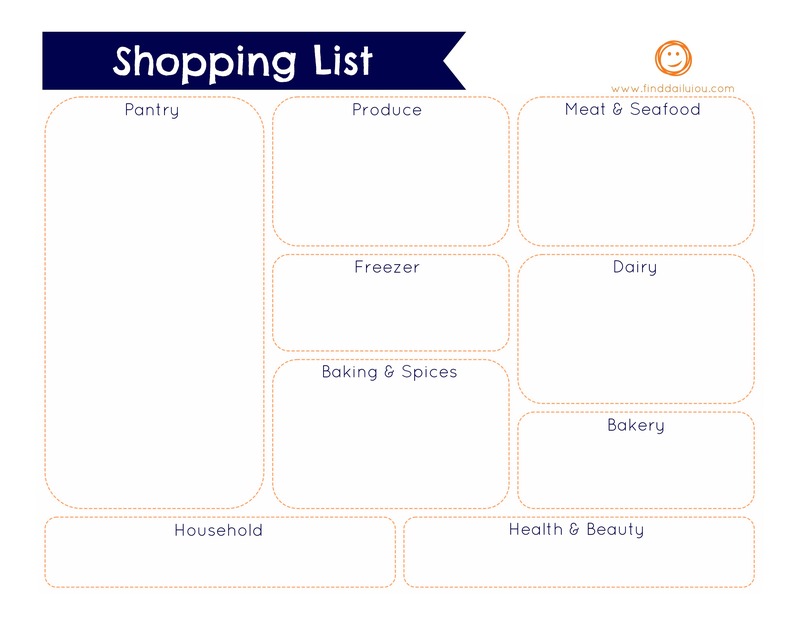 When thinking over how best to design this shopping list I decided to organize it by categories. Hopefully this new list will help save me some time! 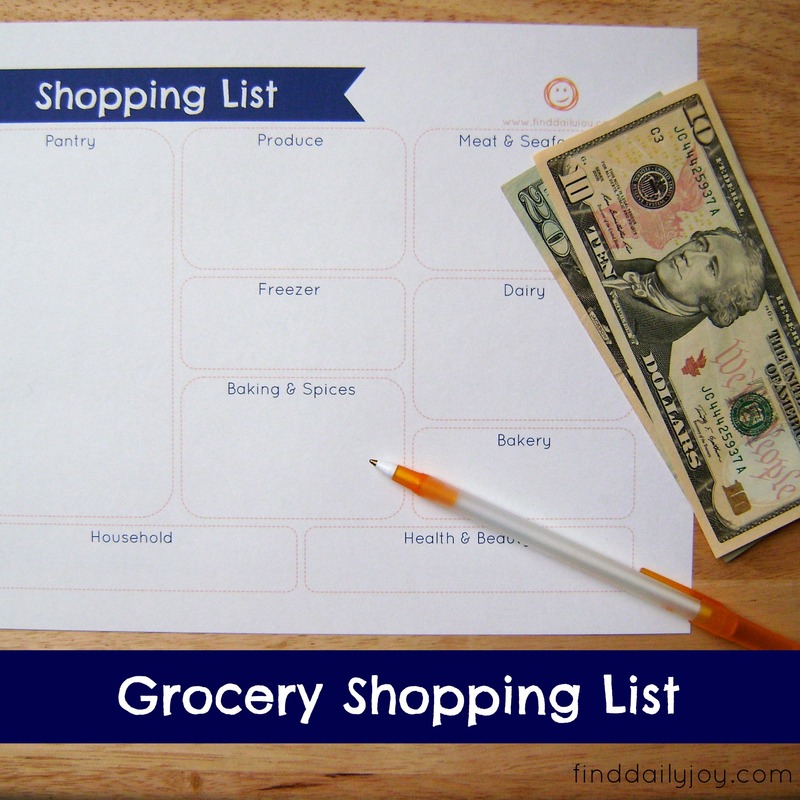 To download your free grocery shopping list printable right click on the image below and save it to your computer. Looking for more free organizational printables? Check out my weekly menu planner, to do list and weekly schedule. Pingback: Show-licious Craft and Recipe Party - LIVE!